When I left Canada, nobody had a smartphone. The very first iPhone had launched the month before, and as this was a time before the App Store existed, only the most cutting-edge of the Apple fans and Blackberry deserters actually owned one. Myself, I only had a Samsung A660 that I was very proud could play Kefka's Theme from Final Fantasy VI when it sensed someone I didn't like coming in on my Caller ID. On my first full day in Osaka, I bought a Softbank 812SH from Yodobashi Camera in Umeda. As an upgrade to my Samsung, it was dynamite. It could smoothly and quickly browse the extensive Japanese Mobile Web, had adorable emoticons, was quite slim and had a big colour screen twice the size of the one I was leaving behind. I sang the praises of Japanese phones to anyone who would listen. Sure, some of my students had televisions on their phones - I was content with just having mobile web. By the time I left Japan, two of my students had iPhones (this was a really big deal, especially for the girl who had the "first" iPhone in the school - 2009!) but the rest used the good old flip style. HYPERDIA(Lite) JapanRailSearch - Train schedules. I used the mobile web version on my Japanese phone. I cannot stress how many times I would have been (a) stranded somewhere or (b) lost, if I didn't have Hyperdia. So efficient. Twitter - Likewise, used the mobile version. I loved being able to microblog about something, then go back and research it later on my computer. Tweets are short, too, so I was comfortable tweeting in Japanese and reading what my Japanese friends were posting なう. 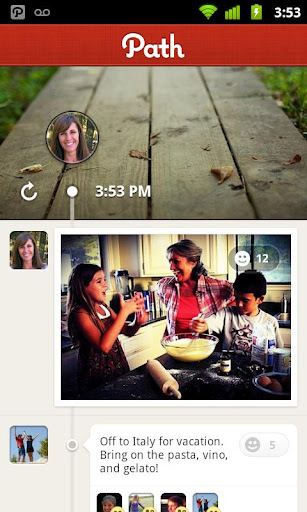 Path or Foursquare - I really liked Gowalla and it seemed like it had big support among Japanese users, but it was eaten up by Facebook. A check-in service would have been my number-one want in Japan. In a new country, everything is a big deal and it's tough to remember later all the things you saw and did, and tougher still to share them with friends back home. 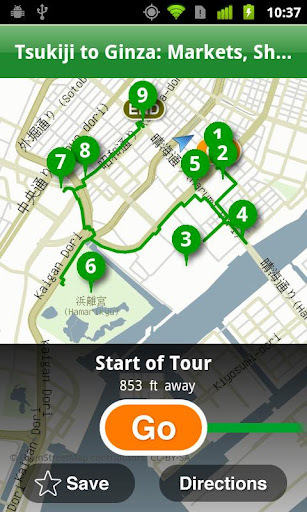 How cool would it have been to have been able to post a check-in from Tokyo Tower? Instagram - I'm on the bandwagon now. This photo-sharing social media site would have been perfect for visiting temples, shrines, statues, skylines, anything! WWWJDIC For Android - This is THE app for anyone struggling with Japanese. Can't read what's in front of you? Draw it into your phone and WWWJDIC will give you a translation. Saora's JLPT Practice - Studying your Japanese while abroad? I hope so! This app is a great study tool that keeps you on pace for the Japanese Language Proficiency Test. 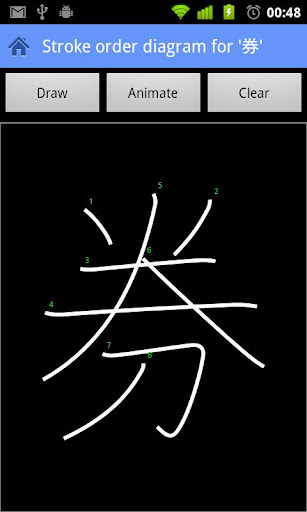 Kanji Draw 29% - There are a few kanji-drawing apps out there, but this is my favourite. Good interface and customization, and the app really makes sure you didn't just fluke into the right stroke order! Google Translate - Straight up. Google's translate tools are very effective. Barcode Scanner - QR codes are super popular in Japan and you can find them pretty much everywhere! Japanese Traffic - I never drove, but this could be pretty indispensable to someone who did. 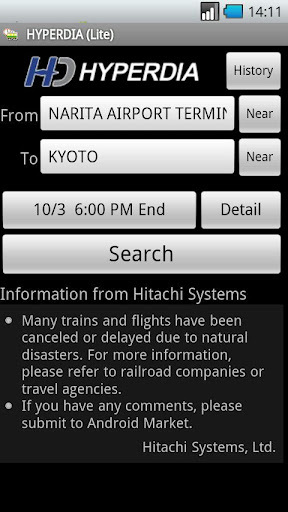 The app real time traffic conditions in Japan, in Japanese and English. Japanese Hot Spring Heaven - Searchable directory of over 4000 hot springs. Don't even care that there's no English version - I would manage. Tokyo City Guide - By TripAdvisor. Tokyo Art Beat also has great reviews! There are tons and tons of city guide apps out there that would have been much easier to work with on those weekend trips than carrying a book would have been. Check out GoodLuckTripKANSAI for the Kansai area, or search the Internet for your destination! Tokyo Emergency - Can't vouch for how well it works, but this guide has emergency numbers for if you're travelling in the Tokyo area, including consulate and embassy info. And I lost my passport in Tokyo once, so thumbs up for carrying this sort of helpful info around! As they say...."there's an app for that." If you are visiting or living in Japan, and you have a smartphone, don't let it go to waste! 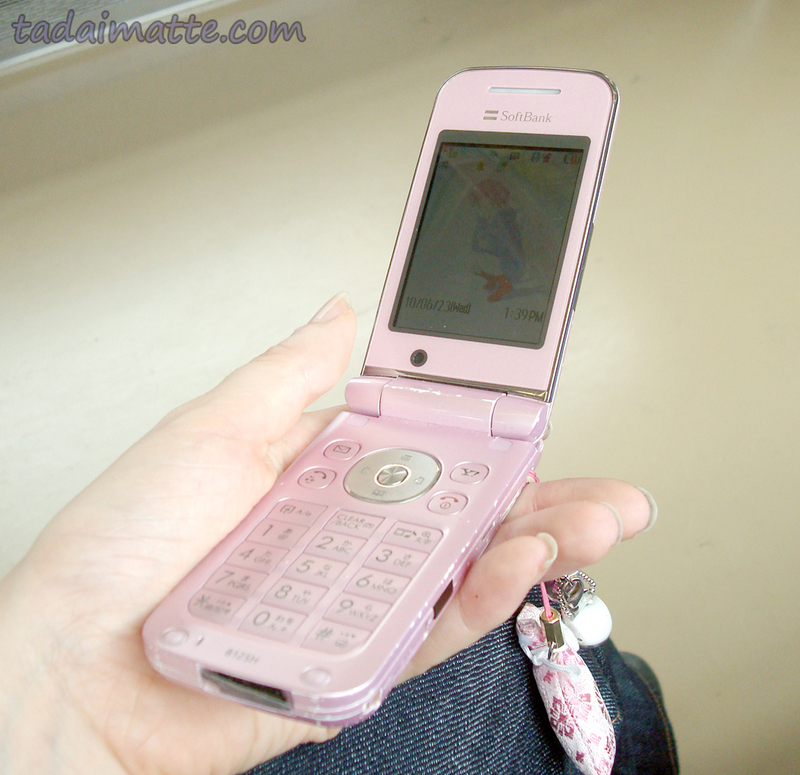 When I came back from Japan I got one of my first Canadian cell phones. I asked the cell phone dealer what my email address was for texting and he looked at me like I was crazy.